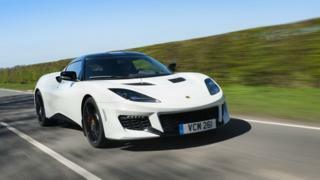 Lotus, the British sports car maker, is being bought by China's Geely. The purchase is part of a deal by Geely to buy a 49.9% stake in Malaysian carmaker Proton, which owns Lotus. Geely, which also owns the London Taxi Company and Sweden's Volvo Car Group, will take a 51% stake in Lotus. Jean-Marc Gales, who became Lotus chief executive in 2014, has been trying to return the Norwich-based company to consistent profit after two decades in the red. It was effectively locked out of United States in 2015 when its airbags failed to comply with new car safety regulations, but Lotus returned to the American market last summer. While the Lotus car company has not been involved in Formula 1 racing since the 1990s it runs an engineering consultancy selling sports car technology. Geely is expected to use its research in composite materials and lightweight technology to help it comply with increasingly demanding emission regulations in China. The stake in Proton is expected to give Geely access to the south-east Asian market, where it wants to use Volvo technologies to reclaim market share. James Chao, of consultancy IHS Markit Automotive, said: "Geely has validated the model of using their Volvo technology platform to create good products. That should be the same for Proton." Proton also gives Geely access to right-hand-drive markets around the world, including Malaysia, the UK, India and Australia. Proton was founded in 1983 by former Malaysian prime minister Mahathir Mohamad, but its fortunes have dwindled from national champion to being a minor player even in its own domestic market. It will continue to be majority owned by the Malaysian DRB-HICOM group. The Malaysian government gave Proton 1.5bn ringgit ($364m) in financial aid last year on condition that it find a foreign partner. Malaysia's second finance minister, Johari Abdul Ghani, said: "Proton will always remain a national car and a source of pride. Our very own much-loved brand now has a real chance in making a comeback." Geely aims to produce three million cars by 2020 across all its operations.